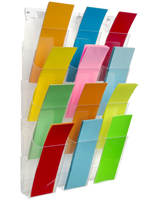 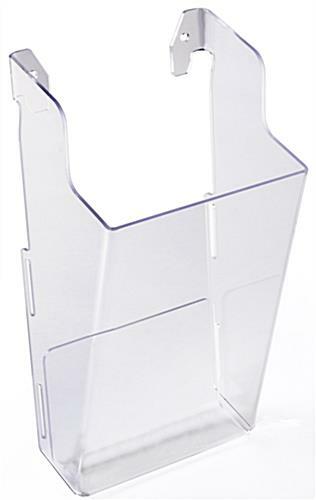 This hanging brochure holder is crafted from durable, clear acrylic. 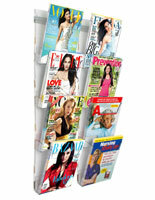 Leaflet dispensers are great for businesses such as travel agencies and car dealerships, but they also make great additions to community centers and health clubs. 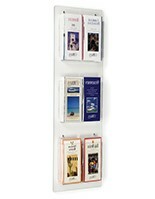 Each wall mounted brochure holder includes (4) clear pockets with pre-drilled holes and a metal bracket. 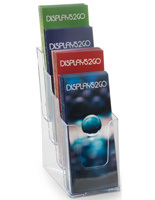 Acrylic leaflet dispensers are great marketing tools for any business. 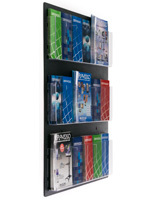 A wall mounted display saves space and provides an organized, stylish display that’s sure to catch the eye of customers and potential clients. 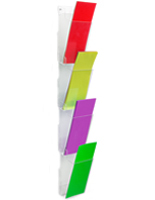 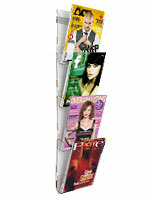 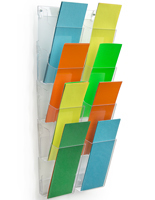 Use the brochure holder in office lobbies, at point of sale locations, and more! 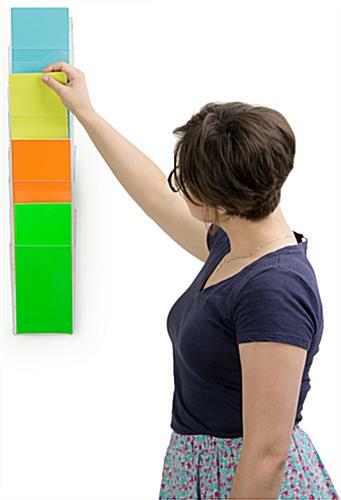 5.2" x 25.5" x 23.8"
4.8" x 10.0" x 1.0"